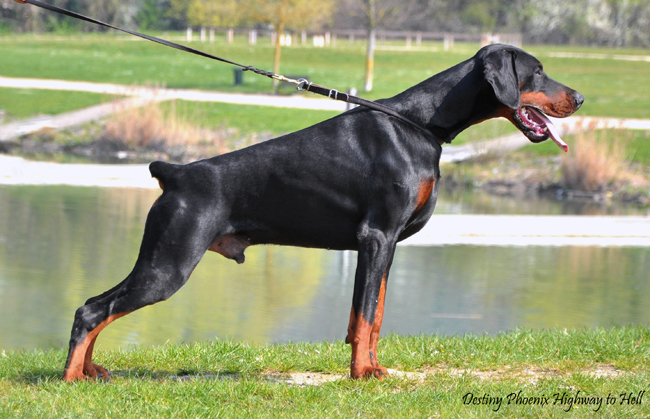 The only male in Europe produced by the famous Mitto del Nasi (German koerung, IPO3, multi champion) and the wonderful Hazy Dream De Grande Vinko (World champion). Highway has the character of his father - strong in bitework with lot of drive, combined with the beauty of his mother - long and strong head with dark eyes, long neck, excellent back angulations, and strong bones. He's the grandson of the fabulous Wallis Nikki Of Tandenberg, and of the famous Atreyo De Grande Vinko. -- Thank you again Eva for giving me such a wonderful dog.